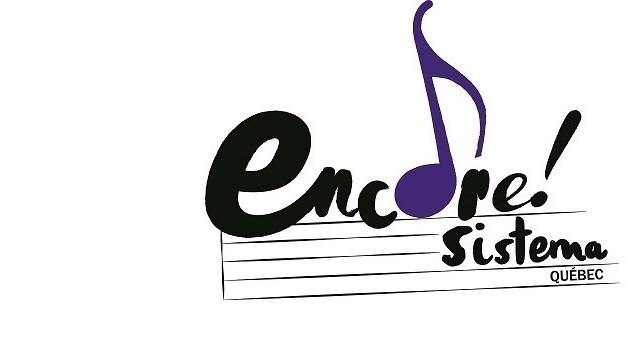 April/May 2018 — As the school year draws to a close, students at each Encore!Sistema Quebec (ESQ) site perfected their repertoire and performed for their schools and communities. Students at St. Gabriel School have prepared arrangements of Mozart’s 40th Symphony and the popular song “Fireflies” by Adam Young. ESQ head teacher John Dodge arranged both pieces for the Sistema students. The ESQ video page currently features footage of an in-school rehearsal and a performance at the Festi-Pointe festival in Pointe-St.-Charles. In the final number of their presentation the ESQ Sistema students were joined by string players from Share the Warmth’s music program. The ESQ students will also be performing at St. Gabriel School in June. On May 5, the elementary and high school students at Kahnawake joined the Orchestre symphonique de Longueuil and the Mohawk choir for a Spring Concert presented by Kahnawake Tourism. This concert was a benefit event for Kahnawake Education Center’s music programs and directly supports Encore!Sistema Quebec’s programs at Kahnawake. All of the students had the opportunity to perform accompanied by the full orchestra; the elementary students performed “Allegro,” “Lightly Row,” and “Soldier’s Joy,” and the high school students performed “Tempest,” “Chameleon,” and “Lean on Me.” Both groups then played Beethoven’s “Ode to Joy” with the orchestra and choir. This event offered an invaluable opportunity for the ESQ students to work with professional musicians and, in the case of the wind students, to be seated side by side with professionals on their own instruments. Several excerpts are featured on the ESQ video page. At the new ESQ site in Parc-Extension, participating children, led by head teacher Michael Depasquale, are learning basic musical skills and violin technique through fun musical games and engaging practical exercises. Although the students have played violin for only four months, they presented a short community concert at Centre William-Hingston on May 30, 2018. The ESQ video page features interviews by participating students and gives a glimpse of typical afternoon activities.